Support is provided to families with children who have a hearing loss and/or vision impairment from birth to four years of age. Family-centred programs, including parent education, are run on-site at Padbury Statewide Services Centre and Southwell Primary School. Individual programs occur either on-site or in the child’s home. Playgroup - caters for children aged 0 to 3 years with a focus on child development through play-based activities. Playgroup enables practical, relevant and effective specialist support to assist children in achieving their optimal educational outcomes. Lighthouse Littlies - a holistic specialised program catering for Sensory children in the pre-kindergarten or kindergarten year (aged 3 to 4 years) that focuses on the whole child and builds upon the skills, knowledge and understandings developed in playgroup while supporting children in school readiness and transition. 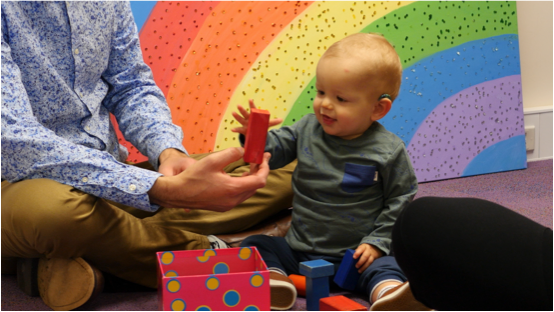 Deaf Education and Vision Education individualised programs which focus on essential skills, concepts and understandings to support child development. Children in rural and remote areas may have the opportunity to access these programs via web conferencing or visiting teacher service.